Good news for moon-watchers: If you can get above the fog in Anchorage tonight, you are likely to be able to see a rare lunar eclipse. The National Weather Service in Anchorage said clouds that threatened stargazers' view of the sky probably won’t materialize Sunday night. An eclipse that will cast the earth’s shadow across the moon, turning it red -- hence the “blood moon” -- will be visible in Alaska starting at 7:41 p.m., peaking at 8:12 p.m. and ending at 8:43 p.m. Sunday night. 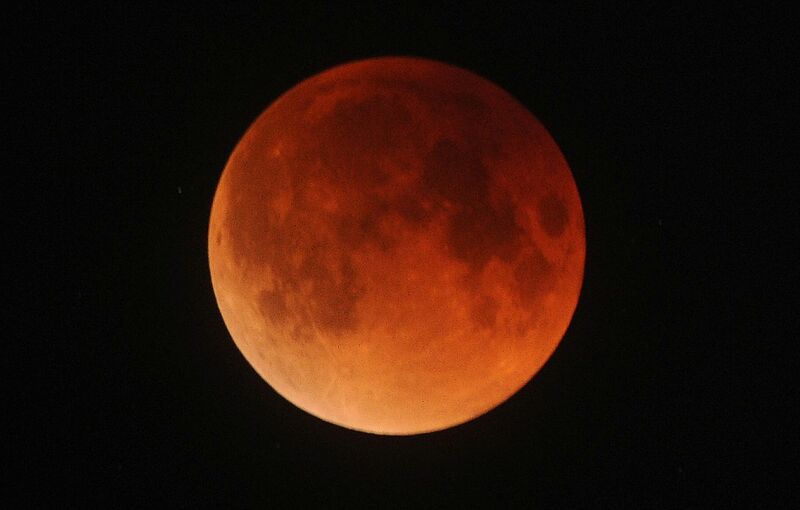 The event is being touted widely as a “super blood wolf moon.” "Wolf moon” is the nickname of the January full moon. The lunar eclipse coincides with a “super moon,” meaning the full moon may look a little closer and brighter than usual. If you can get up to a higher elevation on the Anchorage Hillside, skies should be clear with temperatures in the single digits, Bartos said.